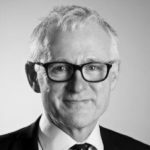 CMHA is thrilled to welcome Rt Hon Norman Lamb, Member of Parliament from the UK, as our esteemed keynote speaker at the b4stage4 conference this month, on November 28-30 in Victoria, BC. Mr. Lamb is a tireless advocate for mental health issues and has fought passionately for the fair and equal treatment of mental health care. In fact, by all accounts he’s viewed as the architect of mental health promotion, prevention, and early intervention in the UK. He served as Minister of State for Care and Support from 2012 to 2015 and has been Member of Parliament for North Norfolk since 2001. 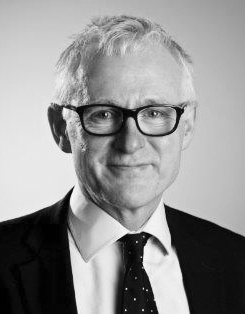 Norman Lamb won the 2014 Political Studies Association award for best use of evidence in policy making and was awarded Rethinks Chairs Award for Outstanding Achievement in Mental Health in 2015. Currently, chief among his priorities is to ensure that mental health care is prioritized equal to physical health care. In this brief video, Mr. Lamb shares his vision for a way forward to improve our system of care and promote meaningful change. Join us this November 28-30 to shape the future of mental health and addictions care in British Columbia and be a part of change! Register today. Learn about more of our conference speakers. And since were on the topic of early intervention, please take a moment to check out our new campaign called b4stage4. Get involved and get loud! Its going to take all of us to change the conversation on mental illness and addiction. As the leaves fall, peoples moods can too. Thats why October is the ideal time for the 22nd annual Beyond the Blues: Education & Screening Days, which have helped 85,000 people across BC since 1995. October is a ripe time to talk about mental health, says Sarah Hamid-Balma, Director of Mental Health Promotion for the Canadian Mental Health Associations BC Division and provincial coordinator for Beyond the Blues. Families are in the thick of school and work schedules and stresses, and daylight changes can affect routines. Beyond the Blues offers an ideal opportunity to work on prevention, catch mental health problems early and connect to local help in a fun and interactive way. Held during or near Mental Illness Awareness Week (October 2-8), Beyond the Blues is an annual awareness day to engage people to learn more about mental health and mental health problems and related issues like risky drinking. For Beyond the Blues 2016, more than 80 local events will be set up across BC this fall. At an education and screening site, attendees can take part in fun and engaging activities such as videos, games and adult colouring books to learn more about stress, mood and anxiety problems, effective treatments, supports and self-care. They can then fill out short self-tests on well-being, depression, anxiety and risky drinking and talk privately with a clinician about next steps, and find out about local community resources and supports. They can also fill out a well-being self-test that look at features of good mental health like vitality, social support, healthy thinking, and self-esteem. The events are free, anonymous, confidential and walk-in. Most sites also host presentations and/or health fairs. Anyone is welcome to attendwhether they want to fill out a self-test or not. One of our commitments in organizing Beyond the Blues is to create friendly, engaging, and safer spaces for people to start and continue conversations about their mental healthand encouraging reflection on what good mental health looks like. Were also committed to supporting people in finding and navigating community supports that can help. We want Beyond the Blues participants to leave feeling empowered, better informed, hopeful, and supported, says Hamid-Balma. There are specially-tailored screening forms available for adults, older adults, youth, new or expectant mothers, and people who are concerned about a friend or family member. Brief risky drinking screens also help people see the links between their alcohol use, possible harms, and impacts on their mental well-being. Embrace routines  For many of us, getting back to the grind of work and school can be challenging but our routines can actually be very healthy for us, says Hamid-Balma, and especially for kids. 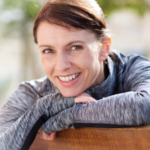 If you build healthy habits nowincluding regular slots for exercise, clubs or social outingsyoure less likely to drop them when it gets cold and dark, she says. Build some outside time in  As daylight changes begin to really sink in, people can find themselves commuting both ways to school or work in the dark, and retired people may find themselves not leaving the house much. Finding small ways to take breaks and get outside during the day is a good idea, even more so if youre prone to winter blues. Add a quick brisk walk with a friend and youve added two more mental health boosters: exercise and social support. Get more face-time with people  Social media, texting, and video-calling can be great ways to stay in touch with loved ones or make new friends. Use them to enhance rather than replace face-to-face interactions. Make a date to talk to someone in real life at a regular time each week or month. If you dont have a close friend or relative nearby, see if theres a local Meetup group or club youd like to join, walk your dog with a neighbour, or try tai chi at the mall. Little more water, little less caffeine  Water replenishes brain cells and helps you concentrate and feel less tired. Most of us dont drink enough of it. While youre drinking more water, try to also limit caffeinated drinks because they can dehydrate you, make you anxious or reduce the quality (and quantity) of your sleep. Try more often to have herbal tea, decaffeinated black tea, or smaller cups of coffee. *NOTE TO MEDIA ABOUT VISUALS: Media are asked not to attend these events for photos or interviews to respect the anonymity and confidentiality of attendees. For visuals, see stock photos of a person filling out a screen online at www.heretohelp.bc.ca/about/media or contact your local site planner to see about getting photos/footage before the event day, such as of shots of displays or speakers; or having a journalist go through a mock screening interview. Funding for provincial coordination of Beyond the Blues has been provided by BC Mental Health and Substance Use Services, an agency of the Provincial Health Services Authority, with additional support from the Ministry of Children and Family Development. Special thanks also to provincial media sponsor Black Press, and to our vast list of provincial endorsing agencies. CMHA BC is a part of Canadas most established mental health charity and the nation-wide leader and champion for mental health. CMHA helps people access the resources they need to maintain and improve mental health, build resilience, and support recovery from mental illness. Each year in BC alone, CMHA serves more than 100,000 people all across the province. CMHA BC is proud to be affiliated with HeretoHelp. HeretoHelp is a project of the BC Partners for Mental Health and Addictions Information, a group of non-profit agencies providing good-quality information to help individuals and families maintain or improve their mental well-being. The BC Partners are funded by BC Mental Health and Substance Use Services, an agency of the Provincial Health Services Authority. Vancouver, B.C. 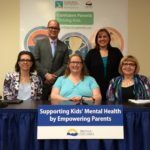  Happy kids mean happy families, and that’s why the BC government has provided $1.49 million to the Canadian Mental Health Association, BC Division (CMHA BC) to support the ‘Confident Parents: Thriving Kids’ program, which helps parents address behavioural problems in kids aged three to 12. More than 1,000 BC families accessed the program last year, with encouraging results. Parents noted improvements in their child’s behaviour, including increased cooperation, understanding and positive interaction with family, friends and teachers. The benefits of ‘Confident Parents: Thriving Kids’ aren’t just for kidsparents also report increased confidence in their own response to behavioural issues, as well as happier, healthier family interactions. The Canadian Mental Health Association (CMHA) and the Canadian Hockey League (CHL) officially partnered on May 24, expanding the mental health and suicide-awareness program Talk Today. The announcement, made at the CHL’s national championship tournament, the Memorial Cup, marks the first step towards linking each of the 60 major junior teams with the CMHA to ensure every player has access to the mental health supports and resources. All 22 teams in the Western Hockey League (WHL) and the 18 teams in the Quebec Major Junior Hockey League (QMJHL) are participating to create a suicide-safe network within their respective leagues and clubs. This mirrors the partnership between CMHA BC and the BC Hockey League (BCHL) which just completed its first season, and the partnership between CMHA Ontario the Ontario Hockey League (OHL) established in October 2014. In just two years, CMHA Ontario branches and their local OHL teams have made a sizable impact. During that time, 670 players, 160 billets (members of local families that house players), and more than 85 coaches and front office staff have been trained in safeTALK, which teaches individuals the importance of mental health, how to recognize persons with thoughts of suicide and how to take action. Additionally, eight coaches, 10 billets, three players and three office staff have taken ASIST, which teaches people how to recognize individuals who are at risk and intervene to keep individuals safe. Both are accredited training programs. Talk Today also includes a community outreach portion. CMHA branches and CHL clubs will host awareness games aimed at destigmatizing mental health issues. This past season, those OHL games were held in February and roughly 80,000 fans attended to hear and receive positive messages about mental health. Nearly 3 million people were reached on social media as well using the hashtag #TalkToday. Talk Today helps address an important concern of which hockey players are not immune. The number of 12- to 19-year-olds at risk for depression is a staggering 3.2 million. Suicide is the second-leading cause of death for young Canadians between the ages of 10 and 24. And 70 percent of mental health problems are onset during childhood or adolescence. Stay tuned for more details about Talk Today. Nominate mental health champions in your community for a chance to win 1 Million Shoppers Optimum Points. Vancouver, B.C. Are you a woman who has made an impact on your community by making mental health matter? Do you know a woman who is a champion for mental health? The Canadian Mental Health Association, BC Division (CMHA BC) is celebrating women who are making mental health matter in BC communities with the Shoppers Drug Mart Ride Don’t Hide LOVE YOU Contest. Help them find deserving women with your nomination. This contest is inspired by the women who are promoting mental health in their communities by getting loud, sharing their stories and helping break down the stigma around mental illness each year at our Shoppers Drug Mart Ride Don’t Hide events, says Bev Gutray, CEO of CMHA BC. We want them to know their stories are being heard. It’s a small way of saying thank you for making a difference. The Shoppers Drug Mart Ride Don’t Hide LOVE YOU Contest honours women and girls in BC who have faced adversity, persevered and are now advocates for mental health in their communities. The nominees will be entered into a contest to win 1 Million Shoppers Optimum Points – worth over $1700. To enter, simply share your story or the story of a woman you admire at www.ridedonthide.com/bc. Five finalists will be selected by a panel of Shoppers Drug Mart Pharmacist-owners. The winner will be determined by an online vote. The deadline for nominations is May 29; finalists will be announced on social media on June 3 for public voting and the winner will be announced on June 21. We are excited to honour women through the Shoppers Drug Mart Ride Don’t Hide LOVE YOU Contest, says Nayan Darji, Pharmacist-owner, Shoppers Drug Mart (Village on Marine), North Vancouver. At Shoppers Drug Mart we’ve long been a proud champion of putting women’s health first. We believe that when Canadian women are healthy and well, Canada is healthy and well. The contest is part of the Shoppers Drug Mart Ride Don’t Hide movement in support of mental health. On June 26, CMHA is expecting more than 8,000 cyclists in 30 communities across Canada join together to ride for mental health at Shoppers Drug Mart Ride Don’t Hide. Shoppers Drug Mart is the title sponsor for the rides in BC. Cyclists of all ages are invited to sign up at www.ridedonthide.com to ride with their friends, families and coworkers to promote mental health and help end the stigma around mental illness. About Shoppers Drug Mart LOVE. YOU. Shoppers LOVE.YOU. Putting Women’s Health First is dedicated to being part of every woman’s support network through the sponsorship of a full range of national and community initiatives focused on advancing women’s health in body, mind and spirit. More information can be found at www.shoppersloveyou.ca. Vancouver, British Columbia  The Canadian Mental Health Associations BC Division (CMHA BC) sees yesterdays release of Concrete Actions for Systemic Change by the Select Standing Committee on Children and Youth as an important step toward a future of promoting, protecting, and improving the mental health and wellbeing of BCs children and young people.